Jews have achieved prominent positions in the Chilean government and other realms of influence, and played a key part in the founding of the country both before and after its independence in 1818. A large portion of Chile's current Jewish population of 18,300 reside in the capital of Santiago, while other smaller communities exist in Viña del Mar (Valparaiso), Concepcion, Temuco and Valdivia. A group of Indians in the south, the Iglesia Israelita, observe many Jewish customs and consider themselves to be Jewish as well. Several of the very first explorers to Chile were accompanied by Conversos, or converted Catholic Jews secretly practicing Judaism. Legend maintains that the very first explorer in 1535, Diego de Almagro, came with a Converso by the name of Rodrigo de Orgonos. Five years later, Pedro de Valdivia, another conquistador, came with Diego Garcia de Caceres of Plasencia, Spain, who is also believed to have been a Converso. Scandals erupted in 1621 after the genealogy of Caceres was traced to include many prominent families in Santiago, including the founder of the Chilean independence movement, General José Miguel Carrera. Caceres' family roots were published in a pamphlet entitled La Ovandina, but the arrival of the Inquisition at that time forbade the circulation of the pamphlet, which was reprinted in 1915. The court of the Inquisition established in Lima in 1570 had authority over what is now Chile, and the first auto-de-fé was held shortly afterward. Nevertheless, the Crypto-Jewish settlement in this relatively remote outpost of the Spanish Empire continued to grow. The climax of the activity of the Inquisition here came in 1627 with the arrest in Concepción de Chile of the eminent surgeon Francisco Maldonado da Silva, one of the most remarkable of all inquisitional martyrs, who was sent to Lima with others for trial. After nearly 12 years of imprisonment, he was "relaxed" (burned at the stake) with ten other persons in the auto-de-fé on Jan. 23, 1639 – the greatest known in the New World up to that time. Secret "judaizing" (Crypto-Jewish practices) nevertheless persisted in the colony. The physician Rodrigo Henriquez de Fonseca of Santiago and his wife were burnt at the stake in Lima in 1644 on a charge of adherence to the Law of Moses; his brother-in-law, Luis de Riverso, escaped a similar fate by committing suicide in prison. At the end of the 17th century, the Holy Office in Lima was informed of the presence of approximately 28 "Judaizers" in and around Santiago, though apparently no action was taken on this report. Among the other Chilean Crypto-Jews who suffered minor inquisitional penalties was Francisco de Gudiel, born in Spain in 1518, who, according to his sentence, "was still awaiting the coming of the Messiah" (Gudiel's daughter married the son of another Crypto-Jew, Pedro de Omepezoa). A New Christian soldier, Luis Noble, was punished in 1614 on the charge of having stolen a crucifix in order to practice "rites in the Law of Moses," and in 1680 Captain León Gómez de Oliva suffered confiscation of his possessions as part of his punishment for secretly practicing Judaism. Jews from other countries became interested in the Jewish community in Chile. Simon de Caceres, an ex-Converso based in London, tried get permission from Oliver Cromwell to lead a military contingent of Jews to conquer uninhabited lands in Chile in 1656. The persecution of Conversos ceased when the country gained formal independence from Spain in 1818. Until the Declaration of Independence was proclaimed (1818), entry into Chile was prohibited to foreigners and especially to Jews. At that time there were no traces of Judaism that might be attributed to the descendants of Crypto-Jews. Nevertheless, judaizing sects of Indian ascendancy were discovered in the 20th century who claim to have received their Judaism through the influence of Crypto-Jews. Some of them call themselves "Iglesia Israelita," and are concentrated in the regions of Curacautín, Cunco, and Gorbea – frontier areas of Spanish Catholic influences until the conquest of the Araucanos in the 1880s. Some of them observe a portion of the Jewish commandments, and others identify solely with the Old Testament and with a small part of the commandments. The early republican constitution did not serve as a legal basis for overt Jewish life, for it established Roman Catholicism as the state religion and prohibited open practice of any other religion (Paragraph 5 of the Constitution of 1833). It was only in 1865 that a special law permitted non-Catholics to practice their religion in private homes and establish private schools. A series of liberal laws from the years 1883–1884 that established, inter alia, civil marriage and state-controlled registration of citizens (rather than church-controlled) extended religious tolerance. The constitution of 1925 explicitly established freedom of religious observance for all religions that are not opposed to morality. During the last decades of the 19th century, the liberal governments promulgated a series of laws that included the creation of lay cemeteries, where burials would be granted without distinction of creed or religious denomination. These laws were attacked by the Catholic Church and provoked dramatic conflicts between conservatives and liberals, terminating with the victory of the liberal government and the establishment of lay cemeteries. Authorization to create private cemeteries was granted a few years later, and was used mainly by Catholics. Owing to these developments, the Jews did not encounter any legal impediment in the burial of their dead, their only problem being the cost of mausoleums or plots in the lay cemetery of Santiago for the burial of Jews. Burial according to Jewish law was thus carried from the early stage of communal organization, resulting gradually in a Jewish cemetery that served both Ashkenazim and Sephardim. This old Jewish cemetery still exists in Santiago. A second cemetery was established in the 1930s in Conchali, adhering to stricter Orthodox norms of burial. During the 19th century individual Jews reached Chile and for the most part assimilated with the population. At the start of the pogroms in Russia in 1881–82, Chile was mentioned as a possible haven for persecuted Jews, and during subsequent years it seems that Jews arrived in the country either individually or in small groups. But it was only at the beginning of the 20th century that they began to increase in number. The most prominent immigrants until World War I were East Europeans who had first tried to settle in Argentina and Sephardi Jews from Monastir, Macedonia, who arrived in Temuco, southern Chile, and laid the cornerstone of Chile's Sephardi community. Outstanding among the early arrivals was Naum Trumper, the son of settlers from Moisésville in Argentina. Prominent among the later settlers were the Testa, Arueste and Albala families. The first communal prayers were held in Santiago in 1906, and the first Jewish organization, Sociedad Unión Israelita de Chile, was founded in 1909. Nevertheless, many Jews did not feel secure in the Catholic state, and therefore camouflaged their other organizations with such inconspicuous names as Filarmónica Rusa (founded in Santiago in 1911 and later known as Centro Comercial de Beneficencia, 1914) or Centro Macedónico, founded in Temuco in 1916 by Sephardi Jews from Monastir. The Centro Macedónico united all the Jews of this southern city, including the small group of Ashkenazim, and was converted in the 1930s into the Jewish community of Temuco. The first Jewish organization in Valparaíso was the Max Nordau organization, founded in 1916, which united all the Jews – Sephardim and Ashkenazim. In 1922, however, the Sephardim formed their own community, Unión Israelita de Educación y Beneficencia. Zionist activity began in Chile in 1910, but it was the Balfour Declaration and international recognition of the aims of Zionism after World War I that noticeably increased its momentum. In its wake, and under the impact of the Tragic Week in Argentina (January 1919), the need for a centralized Jewish organization was forcefully expressed, and consequently, in September 1919, the first Congress of Chilean Jewry was convened. It was attended by representatives of 13 organizations from six cities, including both Ashkenazim and Sephardim, together with representatives of Hijos de Sión from Caracautín, the organization of the Indian judaizers. The congress dealt with Jewish matters of a general and local nature, and, despite the differences of opinion, established the Federación Sionista de Chile, the central organization of Chilean Jewry and its official representative vis-à-vis both the Jewish and the non-Jewish world. From then on, a local Zionist congress has been convened annually in Chile. The unifying objectives were implemented further a year after the congress, when the Ashkenazi communal organizations in Santiago united to form the Círculo Israelita, which has remained one of the principal Jewish organizations in Chile. In the same year, the Centro Juventud Israelita was established by university youth, who in 1922 founded the Policlínica Israelita as a clinic for the general population. In 1922, the Jewish Colonization Association (ICA) investigated the possibilities of implementing an agricultural settlement project in Chile and thereby expanding Jewish immigration. But these plans never materialized, and Jewish immigration throughout the 1920s continued to be a trickle. The Jewish organizations continued to develop and by 1930 had crystallized. The Círculo Israelita embarked upon diversified community activity (in the field of culture, education, religious affairs, and especially in burial services) and also erected a large central building to serve the entire community. The Sephardi organizations increased in number and diversified their activities. WIZO was founded in 1926; the growing youth organizations united to form the Asociación de Jóvenes Israelitas (AJI, 1928), which continued to administer the Policlínica and also developed a legal aid service. Zionist activity had likewise made great gains. As early as 1922 Chilean Jews contributed more to the Jewish National Fund than Jewish communities with much larger population; 1,600 persons acquired the shekel in 1929, and the Keren Hayesod had considerable revenues. On the other hand, during and following the 1920s, anti-Zionist and particularly communist elements were active among Jews in Chile. In 1930–1932, a severe crisis overtook organizational life in Santiago, particularly the Círculo Israelita and the Federación Sionista. In part the crisis stemmed from the financial difficulties faced by the Jewish organizations as a result of the economic crisis that greatly affected the peddling business; in part it was caused by tension within the Zionist Movement and social and political instability. In the wake of the crisis, the philanthropic Bikur Holim organization of Santiago, founded in 1917, also entered the field of communal activity. In 1931 HICEM established a committee in Santiago to represent the organization in matters of immigration. The committee did not support the activities of the local group, Bikur Holim, and the latter accused HICEM of spreading information about the great possibilities of absorbing a large immigration that created illusions incongruent with the actual economic situation in Chile. This conflict led to a public controversy within the Jewish community that lasted throughout the decade and negatively influenced the already limited possibilities for Jewish immigration. On the eve of World War II a new committee for immigration was established whose composition and activities were agreeable to both sides. Meanwhile, despite the restrictions and the difficulties imposed on immigration, thousands of Jews from Germany entered the country during the 1930s and quickly established an auxiliary organization (Hilfsverein, or Comité Israelita de Socorros, Cisroco, 1933), a communal institution (Sociedad Cultural Israelita B'nei Jisroel, 1938), and a B'nai B'rith lodge (1937). Thus another social and organizational element was added to Chilean Jewry and left its mark on the community as a whole. The economic difficulties in Chile, especially following the Wall Street crash of 1929, promoted the emergence of anarchists, communists, and socialists and later of Fascists who professed admiration for the authoritarian regimes in Spain and Italy. A few Jews were represented among the former groups. Information on the arrival of Jewish anarchists to Chile is very scarce, since the government expelled them as soon as their ideological inclinations were revealed. According to the Law of Residence, promulgated in 1918, the government was authorized to deport any person whose behavior was considered undesirable or whose ideas ran counter to the Chilean Constitution. In the list of deportees is Nathan Cohen, but it is not clear whether he was an anarchist or a communist. As for the socialist and communist Jews, one must distinguish between immigrants who brought over their ideological affiliations from Europe and young Jews who adopted their ideas in Chile, generally while studying at the university. Members of the former group had been active in the Bund or in other socialist groups while still in Europe, and they expressed themselves and conducted their activities in Yiddish. They published leaflets and articles in that language and founded the Sociedad Progresista Israelita, which acted sporadically without much influence on communal Jewish life. They organized campaigns on behalf of PROCOR and were also active in the foundation of Jewish schools. Persons belonging to this group arrived in Chile mainly via Argentina. The second group was composed of Jewish students who were born in Chile or reached there in their childhood. They integrated into the political life, first in the framework of the Federación de Estudiantes de Chile and later in the Chilean political parties. Three of them became Members of Parliament who formed part of the Popular Front under the presidency of Aguirre Cerda (1939): Marcos Chamudes was elected in 1937 on behalf of the Communist Party of Valparaíso, Natalio Berman was elected in the same year as a Socialist representative of the Province of Concepción, and Angel Faivovich was an MP of the Radical Party. The secret visit of Manuilsky, a Jew from Latvia who used the pseudonym Juan de Dios, influenced the Communist Party in its formation of the Popular Front that won the elections of 1938. Chilean politics, however, were influenced also by right-wing ideologies. Nazism was promoted by officers of the Chilean army who had studied in Italy and in Germany. The Movimiento Nacional Socialista – Nacis (sic), founded in 1932 and led by General Francisco Javier Díaz, and by the lawyer of German origin Gónzalez von Maríns, conducted a spirited campaign against the immigration of Jewish refugees. In 1927 Foreign Minister Conrado Ríus Gallardo sent orders to all the Chilean consuls abroad, prohibiting the granting of visas to Jews; Jewish immigration continued, though in limited numbers. At that time, world Jewish organizations concentrated their efforts to find countries prepared to admit Jewish immigrants on the Atlantic coast, and had no interest in Chile. When Hitler ascended to power in Germany, the Jewish community in Chile organized demonstrations of protest in all the cities, and as a result of its efforts the Chamber of Deputies sent a telegram to Hitler condemning the persecutions of the Jews. The year 1936 saw the growing demand of Jews to immigrate to Chile, and international pressure on the Chilean government to admit them. A branch of HICEM, called like its counterpart in Argentina SOPROTIMIS (Sociedad Protectora del Inmigrante Israelita), got the government to authorize the admission of 50 Jewish families each year, under the condition that they engage only in agriculture. These groups of Jewish immigrants settled in the southern part of Chile. Some refugees – 879 in number – who reached Chile after the outbreak of World War II were accepted on condition that they settle in the south and not move to the capital. Fifteen families made an attempt at agricultural settlement, especially on the island of Chiloé, and dozens of others were supposed to follow them; the rest settled in the cities of the south. After several years of living in difficult climatic and economic conditions, however, a sizable number settled in the principal cities of the country. This move was in turn exploited by the antisemites, who had already attempted to harm Chilean Jews during the 1920s. The antisemitic activities increased during the 1930s and particularly during the war. They now demanded that all German refugees be obligated to settle in the south. In 1936, following the outbreak of the Spanish Civil War and the growing influx of refugees, Chile increased its restrictions on immigration, due to the unemployment and to the right-wing opposition to the admission of both Republican Spaniards and Jews. After Kristallnacht in November 1938 the requests for a visa to Chile exceeded the quota allotted by the government to SOPROTIMIS. On Sepember 5, 1938, the nacis (sic) tried to overthrow the government. The police captured and killed 62 students that belonged to the Naci Party, provoking a strong reaction against President Arturo Alessandri Palma and his candidate for the elections that were planned for the end of that year. The left-wing parties offered the Nacis an amnesty in exchange for their electoral support. This alliance resulted in the victory of their candidate by a small margin. The new government permitted the unrestricted immigration of any persecuted person anywhere in the world. Consequently, Foreign Minister Abraham Ortega began helping Spanish and Jewish immigrants. Some of the Chilean consuls in Germany objected, and the consul in Bremen claimed that visas were being granted through bribes. The Parliament appointed an investigative committee, which submitted a report highly critical of the foreign minister, causing his resignation in February 1940, as well as dramatic debates in Parliament that resulted in the total prohibition of Jewish immigration. In all, between 10,000 and 12,000 Jews were able to enter Chile in 1933–40. The two last ships, Augusto and Virgilio, arrived in January 1940 with a few hundred Jews who were moved to the south in a special train under military custody. An attempt to bring 50 French Jewish children to Chilean Jewish families who promised to adopt them was made in 1943 but failed. In certain instances the Chilean government protected Jewish refugees of Chilean origin or Chilean citizens in zones occupied by the Nazis, to prevent their deportation to concentration camps. On a few occasions the foreign minister and the Chilean ambassador to Germany, Tobías Barros Ortíz, threatened to imprison German supporters of the Nazis who resided in Chile if Chilean citizens in Germany were detained. Against the background of intensified antisemitism, the Comité Representativo de las Entidades Judías (CREJ), the central body of Chilean Jewry, was established in 1940. This organization encompasses all the Jewish organizations of Chile and represents Chilean Jewry vis-à-vis the authorities, combats antisemitism, and also engages in matters of a general nature. It is a member of the World Jewish Congress. An agreement between the Zionist Federation and CREJ, signed in 1943, accords to the former all Zionist activity and its representation vis-à-vis the local authorities. Despite antisemitism, the economic position of the Jews gained increasing stability during World War II, and in 1944 the Banco Israelita was established in Santiago. It rapidly became one of the most respected credit institutions in the country. After World War II a small number of Jews continued to arrive in Chile, and in 1957 some refugees from Hungary were permitted to enter the country. During the last years of the war, young Jews who were members of Zionist youth movements in Europe had emigrated to Chile, creating branches in Chile. The first was Ha-Shomer ha-Ẓa'ir , founded in 1939 and known in its early years by the name Kidma. It joined the two movements that already existed, AJI and Maccabi, in establishing the Youth Department of the Zionist Federation, which was to unite all the movements that were later created. Bnei Akiva was founded in the early 1940s, and around 1945 Deror He-Ḥalutz ha-Ẓa'ir and Betar were established. In the 1950s the Asociación de Jóvenes Sefardíes became the Ha-No'ar ha-Ẓiyyoni, and Habonim – the youth group of the German community – was transformed into Gordonia. These youth movements formed various groups of ḥalutzim who made aliyah and settled in kibutzim, moshavim, villages, and towns in Israel. The aliyah from Chile started even before the foundation of the State of Israel, including a few illegal immigrants. Among the soldiers who were killed in the War of Independence were also immigrants from Chile. According to demographic estimates, in 2016 there were approximately 18,300 Jews living in Chile, the majority in Santiago, and the rest mostly in the small communities of Valparaíso-Viña del Mar, Concepción, Temuco, and Valdivia. Most belong to the middle and upper-middle classes and engage in commerce, industry, and the free professions. Jewish communal life in cities other than Santiago generally centers on one or two organizations, whereas in Santiago it revolves around a variety of frameworks. In Valparaíso, the German-speaking Jews, who had established Habonim on the eve of World War II, united in the 1970s with the Ashkenazim and with a large section of the Sephardim, forming together the Jewish community of Valparaíso and Viña del Mar. At the same time, however, the Max Nordau organization (founded in 1916) still existed. In Concepción Ashkenazim and Sephardim were united in the Epstein Center. In Santiago, the Comité Representativo de las Entidades Judías de Chile (CREJ) is an umbrella organization combating antisemitism, which has not disappeared in Chile. Neo-Nazi organizations and their newspapers are legal and since 1948 became stronger with the help of the numerous and economically and politically influential Arab population. The Federación Sionista channels pro-Israel activities and also serves as an umbrella organization for the various Zionist parties and organizations, simultaneously supporting local educational and cultural activities. The oldest of the community organizations, de Círculo Israelita, owns the block of principal buildings of the community. The Ashkenazi kehillah (previously Jevra Kedisha) tries to follow in the footsteps of the Ashkenazi community of Buenos Aires (see AMIA). Sociedad Cultural Israelita B'nei Jisroel, the congregation of German Jews, and the Comunidad Israelita Sefardi, which since 1935 united all the Sephardim, offered their respective communities all the communal services. Aside from these there were various Landsmanshaften: Polish Jews (founded 1932), Hungarian Jews (founded 1937), and others, that were active particularly in cultural and social fields. Among the fraternal and women's organizations are WIZO (founded 1926), and the Organización Pasi Cefi, which dedicates itself particularly to help the network of "Israel" schools located in distant parts of the country. In addition, it assists needy Chilean families on the periphery of Santiago. On Israel's Independence Day it distributes clothing and other supplies to babies born on that day in hospitals serving needy neighborhoods. Today each community has a women's department devoted particularly to assisting needy Jews, either through donations of provisions and money or through interest-free loans. The women also visit the Old Age Home (Hogar Israelita de Ancianos) founded in 1951 and the Cisroco Old Age Home, organizing cultural and recreational activities for their residents. Four B'nai B'rith lodges in Santiago, one in Valparaíso, and one in Concepción are also active. Bikkur Holim continues to be the principal welfare organization, and the Policlínica likewise continues to serve the general community. Activities in sport and culture are organized around the Club Atletico Israelita Macabí, active since 1948, and, in particular, the Estadio Israelita, which from 1952 united a large part of the Jewish community in cultural and sports activities in luxurious buildings in the suburbs of Santiago that possess all the necessary installations for various sports. In 2004, Club Macabí organized the Pan-American Maccabean Games. At the end of 2004 the Estadio Israelita and Club Macabí decided to affiliate themselves with the Ashkenazi community, which owns a commodious community center. Members of Macabi Hatzair, together with other youth movements, send groups to the small communities of the countryside to conduct religious services and other activities there. Jewish education in Chile, which began in a small school established in Santiago in 1914, is under the supervision of the Education Committee. This committee has operated since 1944; in 1967, within the framework of the three schools in Santiago, there were 1,217 students, and 140 in Valparaíso. As of 2004 the Instituto Hebreo Dr. Chaim Weizmann was the main Jewish day school in Santiago, with 1,400 students from kindergarten to high school. There were three Israeli teacher-couples sent from Israel (sheliḥim), one of them from the Orthodox sector. A new Orthodox school was opened in Santiago, organized and directed by Jews from the U.S. The Chabad Movement founded a kolel. In addition, all the rabbis, regardless of their religious orientation, teach Judaism, and there are evening courses for Hebrew. In the Weizmann day school in Valparaíso-Viña del Mar the students are both Jews and non-Jews. The rabbi conducts courses in Hebrew and on Judaism. In 1965 a seminar on Jewish art was introduced at the University of Chile, which laid the groundwork for the Centro de Estudios Judaicos (CEJ) of the University of Chile, which opened in 1968 under the chairmanship of the anthropologist Bernardo Berdichevsky. After Berdichevsky's emigration to Canada (1973) the CEJ was directed by the historian Günther Böhm, and since his retirement by the historian Ana María Tapia Adler. This center offers the widest selection of academic Jewish studies in Chile. 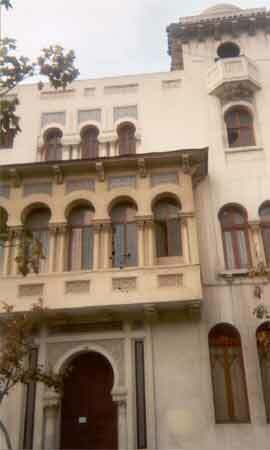 It also houses the Institute of Sephardic Studies, directed by Jorge Zuñiga, who organized two Jewish museums, in Santiago and in Valparaíso, with artifacts that illustrate the history of Chilean Jews. He also organized a choir that performs Sephardi songs from the Middle East and the Balkan countries. In the area of informal education, Zionist youth movements such as Ha-Shomer ha-Ẓa'ir, Betar, and Ha-Noar ha-Ẓiyyoni were active. Following the political upheavals under Allende and Pinochet (see below), the pioneer youth movements were temporarily closed down and their active members emigrated to Israel. Betar was closed in 2000, and the only remaining pioneer youth movement was Ha-Shomer ha-Ẓa'ir. New institutions, however, were taking shape. A local youth movement, Ẓe'irei Ami, was established by the Weizmann school of Santiago, with a Zionist orientation and the use of Hebrew in its activities. The Ashkenazi community, together with Rabbi Waigortin, established the Bet El movement, which has a communal character. The Jewish press in Chile began to appear as early as 1919 with Nuestro Ideal and Renacimiento. In 1920 La Patria Israelita was published under the editorship of Boris Cojano. In the 1930s the monthly Nosotros was edited in Santiago by Dr. Natalio Berman, and Alma Hebrea was edited in Temuco by Dr. Isaac de Mayo. In addition, the bulletin of the Federación Sionista de Chile was published in Santiago, becoming in 1935 the weekly Mundo Judío. During the 1940s, the organization of the German-speaking Jews, Bnei Isroel, began to publish a monthly bulletin, first in German and later bilingually (Spanish and German). The Jewish Youth Organization (AJI) edited the newspaper Nueva Epoca and the Club Deportivo Israelita de Valparaíso published a magazine with the initials of its name (CDI). For several years the Federación Sionista published Mundo Judío (in Spanish) and La Palabra Israelita (at first as a bilingual Yiddish-Spanish publication and later only in Spanish). Today only La Palabra Israelita appears as a weekly, though there are also a few electronic publications. A radio program, La Hora Hebrea, existed in the 1940s and 1950s, under the direction of the brothers Roberto and Elías Aron. It was closed, however, when these two emigrated to Israel. Other broadcasts, like the radio transmissions of the University of Chile, were of short duration. Scholarly research on the history of Chilean Jewry gradualy intensified. Günter Böhm published numerous books and studies over the years, providing important information on the history of the Jews of Chile during the colonial period and under independence (19th and 20th centuries). Other books were published by Günter Friedlander on Crypto-Jews in the colonial period, by Moshe Nes El on the history of the Sephardim in Chile, and by Jacob Cohen Ventura on the Jews of Temuco. In the field of literature, the Jewish writer Volodia Teitelboim published various books on literary and historical subjects, including his autobiography. A series of books and booklets were written in later years by Holocaust survivors, narrating their sufferings in Europe, as well as their difficulties in getting admitted into Chile and integrating in the country. Two authors had a major impact on the public: Milan Platovsky Stein, whose book Sobre Vivir ("On Living") tells the story of his life under the Nazi regime, later as a Communist in Czechoslovakia, and finally his adaptation to Chile. The writer and poet Marjorie Agosin published several autobiographical books in prose and poetry relating the epic of her family's voyage from Europe to Chile. In 2000 she published a bilingual collection of poetry in Spanish and English, El Angel de la Memoria ("The Angel of Memory"). Marcos Chamudes wrote his autobiography, Chile: Una Advertencia Americana. Ariel Dorfman, whose major work was written in exile during the regime of Pinochet, also wrote plays, one of which was translated to Hebrew and performed by the Habimah Theater in Israel. Several Jews became prominent in other areas of the cultural life of the country. In the field of science, Alejandro Lipschuetz' studies on South American Indians gained international recognition. Efrain Friedmann was the director of the Chilean Atomic Research Committee; Jaime Wisniak was director of the Department of Engineering of the Catholic University of Santiago before he moved to Israel, and Grete Mostny was director of the Museum of Natural History. In music and the arts, Victor Tevah, was director of the National Symphony Orchestra, composer Leon Schidlowsky was director of the Institute for the Musical Extension of the State University, and the painters Dinora Doudtchitzky, Kurt Herdan, Francisco Otta, and Abraham Freifeld stood out. Among the lawyers in prominent positions were David Stichkin, twice rector of the University of Concepción, and Gil Sinay, who served for many years as president of the CREJ (Representative Committee of the Jewish Community of Chile). In his nineties he still directed the weekly La Palabra Israelita de Santiago. Some Jews, e.g., Natalio Berman, Marcos Chamudes (Communist deputy), Angel Faivovich (Radical senator), Jacobo Schaulsohn (Radical deputy), and Volodia Teitelboim (Communist senator), actively participated in the political life of the country during the early 20th century. When Salvador Allende became president (1970), he appointed a large number of Jews to important posts. A converted Jew, Jaques Chonchol, and the Jewish engineer David Baytelman participated in the planning of the agrarian reform. Engineer David Silberman was placed in charge of the nationalization of copper. The lawyer Hector Böhm Rosas was appointed director of the nationalized banks. The engineer Jaime Schatz was named director of electric services. Enrique Testa Arueste, former director of the nationalized Banco Israelita was appointed to oversee the banking reform and afterwards became attorney general. Other Jews who became involved in the banking politics of the government were the commercial engineers Marco Colodro, who worked in the Central Bank, and Jacobo Rosenblut of the banks Osorno and La Unión. Jaime Faivovich was the governor of the District of Santiago and later confronted the strike of the transportation workers that precipitated Allende's downfall. José de Mayo was director of the Casa de la Moneda (mint). Oscar Waiss was director of the government daily La Nación. Benjamin Teplitzky filled political posts on behalf of his party, the Partido Radical. Enrique Kirberg was rector of the Technical State University. This is only a part of the long list of Jewish officials, in practically all the branches of the government. After the military putsch of September 11, 1973, which brought General Augusto Pinochet Ugarte to power, Jews continued to occupy posts in government and politics. José Berdichevsky, a Jewish general, was part of the military junta and designated Air Force chief of staff and commander of the garrison of Santiago. Later there were Jews in various important administrative positions, such as Adolfo Yankelevich, who was sent as one of the representatives of Chile to the United Nations. The career diplomat Santiago Benadaba Catan, was ambassador of Chile to the Vatican and to Israel. His service in the Vatican was an important factor in the pope's decision in his arbitration of the frontier conflict between Chile and Argentina. During the last period of the Pinochet administration, a Jew held an important government position: Sergio Melnik, sympathizer of Chabad, was minister of the Office of Economic Planning of Chile (ODEPLAN). Among the Jews who supported Pinochet's regime was ex-senator Angel Faivovich, one of the leaders of the Partido Democracia Radical. The journalist Marcos Chamudes, of the same party, edited the weekly PEC (Política, Economía y Cultura), which had an impact on the atmosphere of opposition to Allende, which was one of the reasons for his downfall. Chamudes, who was a Communist member of Parliament in 1937, withdrew from the party and enlisted in the U.S. Army during World War II. Upon returning to Chile he became one of the most popular journalists in the country and an avowed anti-Communist. In 1990, in the presidential elections that followed the downfall of the government of Pinochet, President Patricio Alwyn, leader of the Partido Demócrata Cristiano, was elected. Among the leaders of the democratic parties that formed the political coalition, called La Concentración, were a few prominent Jews, such as Jorge Shaulson, one of the leaders of the Partido por la Democracia (PPD), and Benjamin Teplitzky of the Partido Radical. The Communist Party, which did not form part of this coalition, was led for some time by the writer Volodia Teitelboim. Among the parties of the right and center that participated in and cooperated with the governments of Pinochet, there were also a number of prominent Jews, like Rodrigo Hinspeter of the Partido de Renovación Nacional (PRN) and Member of Parliament Lily Perez. During this new period, a few Jewish journalists became prominent, such as Myriam Fliman, who was director of the National Radio. In December 1993 President Eduardo Frey Ruiz Tagle, member of the Partido Demócrata Cristiano, was elected by the Concentración. The new president maintained an independent line with respect both to his party and the parties of the Concentración, being counseled by a small group of advisors that the press nicknamed El Círculo de Hierro ("Tthe Iron Circle"). In this group, which had much influence on all the aspects of government, there were three Jews: Pedro Halpern, director of the Division of Communications and Culture; Jorge Rosenblut, undersecretary of communications; and Eduardo Bitran, director of Corporación de Fomento (Corfo), which administered state enterprises. In 1995, the director of the Partido Renovación Nacional, Alexis López, organized a Nazi Party, provoking a strong reaction among most of the members of his party, including the Jewish leaders. The party decided to expel Alexis López and his followers. López tried to organize a congress of all the Nazi parties in Latin America in 2000. Intensive activity by the Jewish community, progressive elements, and international institutions assured the failure of this project. In 1996, however, an antisemitic incident of great import occurred in Chile. The minister of defense, Perez Yoma (of Arab ancestry) expressed in a meeting his fear of the influence of what he called "the Jewish Troika," referring to the Jewish officials of the Círculo de Hierro, advisors to President Frey. On November 21, 1996, the government daily La Nación echoed Yoma's views. The article provoked a wave of protests, including one from the president of the PPD, MP Jorge Shaulson. In a meeting with CREJ, President Frey strongly condemned these views. A few months later, Eduardo Bitran quit his post as general manager of Corfo, becoming general manager of the Fundación Chile, which unites important state enterprises. Communally, the Ashkenazi community of Santiago was united with the Estadio Israelita Macabí, expanding its cultural and social activities. Also the two other communities, the Sephardi and the German-speaking B'nei Jisroel, conducted intensive activities. The religious life in each of the three communities in Santiago is led both by Conservative and Orthodox rabbis, the latter belonging to the Chabad movement, which opened the Rambam religious school. Chilean public opinion has often shown a marked interest and sympathy for Zionism and the State of Israel. In 1945 a Pro-Palestine Committee was founded in Santiago, and its prominent member, Senator Gabriel González Videla (later president of Chile), was among those who sponsored the organization of the International Christian Conference for Palestine, which took place in Washington in 1945. In spite of his past record of goodwill toward Jewish aspirations, as president Videla gave in to the internal pressure of the Arab community (100,000 citizens of Arab descent lived in Chile at that time and were known for their financial and political influence) and instructed his delegation to the UN General Assembly to abstain from voting on the resolution to partition Palestine in 1947. Senator Humberto Alvarez, second-ranking member of this delegation, resigned in protest against that decision. This disappointment at a critical moment did not affect the cordial relations between Chile and Israel, however, and Chile recognized Israel in February 1949 and supported her admission to the UN. In 1950 a nonresident minister opened the legation of the State of Israel in Santiago, and Chile established its diplomatic representation in Israel in 1957. In November 1958 both raised their missions to the status of embassies, and in March 1965 the Embassy of Chile was transferred from Tel Aviv to Jerusalem. Chile abstained from voting on the UN resolution in favor of the internationalization of Jerusalem (Dec. 9, 1949) but voted against the reunification of Jerusalem after the Six-Day War (July 14, 1967). In the General Assembly of the UN (July 4, 1967) it gave its full support to the resolution of the Latin American Bloc in the aftermath of the Six-Day War. The Chilean-Israel Institute for Culture, inspired by Alvarez and Carlos Vergara Bravo, is known for its diverse activities. In the framework of the Israel government's international scheme, an agricultural mission from Israel is active in Chile in the fields of settlement and marketing. The team, sponsored by an agreement between the Organization of American States and Israel for rural development, cooperates closely with CORA (Corporación de la Reforma Agraria) and participates in rural project planning. The Israeli company Tahal is employed in the study of geological and hydraulic resources, as well as in rural development schemes in Chile. Prior to the elections of 1970, which brought President Salvador Allende to power, the parties that formed his coalition, Unidad Popular, already had a clearcut attitude towards Israel. The Communist Party followed the Soviet anti-Zionist line, and its daily, El Siglo, published anti-Israel articles every day. In the Socialist Party, before the election of Allende, the position with respect to Israel was divided. Allende proposed a resolution demanding on the one hand that Israel withdraw from the territories occupied in the Six-Day War, but adding that Chile would recognize the right of Israel to exist independently and securely. The opposing position, represented by Senator Aniceto Rodríguez, was firmly pro-Arab and anti-Israel. The position of Allende triumphed and was inserted into the program of Unidad Popular. Under the government of Allende, Jacques Chonchol, leader of the Izquierda Cristiana Party, a member of the coalition, who was put in charge of the agrarian reform, visited Israel many times to study Israeli agricultural methods as well as the development of the kibutzim and moshavim. Upon his election, Allende repeatedly manifested his desire to maintain good relations with Israel, in spite of the political differences between the two governments. During the election campaign of 1969 the Arab National Union and the CREJ faced off in the press. The Arab community in Chile, and particularly the Palestinian one, had grown considerably since the Six-Day War of 1967, becoming the largest Palestinian community outside the Arab world. It thus became much more important than the Jewish community in terms of numbers and influence. Young Arabs desecrated Jewish cemeteries and carried out bomb attacks against Jewish institutions. In one of these attacks a Chilean police officer was seriously injured and the guilty parties (a Jordanian and a Chilean of Arab origin) were apprehended and convicted. As a result of police action the attacks against the Jews ceased for some time. In a meeting between the minister of housing, Luis Matte Valdes, and Israel's ambassador to Chile, Moshe Tov (1972), projects for Israeli assistance in the field of housing were agreed on. Consequently, the Israeli director general of housing planning, Shaul Shaked, visited Chile. In April of the same year a World Conference on Technical Development (UNCTAD) took place in Santiago. The Israeli delegation used this opportunity to visit the plants where Israeli technicians were working in projects aimed at the reclamation of the desert, improvement of irrigation, and the supplying of water to the desert. Consequently, many projects in cooperation in agriculture, irrigation, afforestation, and mining were considered. Similarly to the relations with Israel, Chile made serious efforts during the government of Unidad Popular to strengthen its relations with the Arab countries. In 1971 a representative of the Arab League visited Chile. In November of the same year he signed an agreement with the Government of Chile that authorized the establishment of a delegation of the Arab League in Santiago. In view of this situation, the CREJ turned to officials of the Foreign Ministry, expressing their concern and their fear that such an office would increase terrorist acts against the Jewish community. The year 1973 was crucial to Chile, since Allende's government was overthrown by a military coup d'état on September 11, as well as to Israel, which was attacked in the Yom Kippur War. As a consequence of the coup d'état, a large number of persons identified with the deposed civilian regime sought refuge in the embassies, including the Israeli embassy. Israel took in several people, obtaining laissez passer guarantees from the government for their protection. From the outset, the military government tried to display a cordial attitude towards Israel as well as towards the Chilean Jewish community. The Jewish General José Berdichevsky, a member of the military junta, was charged with communicating to the Jewish community its friendly intentions toward both the Chilean Jews and Israel. The government of Israel was one of the first to recognize the new military government shortly after the victory of the revolution on September 26, 1973. The new Chilean government looked favorably upon Israel's position vis-à-vis the Soviet Union and the Communist Bloc, especially its efforts to obtain permission for Russian Jews to emigrate to Israel. Officials of the military government also condemned Palestinian terrorist attacks against Israel's civil population. In the United Nations, Chile voted against the resolution, approved in December 1974, to suspend the membership of Israel in UNESCO. On the other hand, Chile voted for UN Resolution 3379 of November 1975, which equated Zionism with racism. The Chilean vote provoked criticism both in the U.S., which had repeatedly defended Chile in the United Nations, and among large sectors of the Chilean population. These reactions led General Pinochet to annul the vote of the Chilean delegation condemning Zionism. Nevertheless, the antagonistic Chilean diplomatic position towards Israel continued when in 1980 Chile moved its embassy fromJerusalem to Tel Aviv, and when Chile condemned the Israeli attack on Iraq's atomic reactor. When Pinochet's regime came to an end in 1990, and with the return of democracy, the cordial relations between the two countries continued. Presidents were elected by a coalition of left-wing and center parties called La Concentracion: Patricio Alwyn (Christian Democrat), Eduardo Frey Ruiz Tagle (Christian Democrat), and Ricardo Lagos (Socialist) displayed cordial attitudes towards both the Jewish community and Israel. Trade continued to develop, though showing an imbalance. In 2003 total bilateral trade amounted to over $56 million ($43.2 million exported to Chile and $12.9 million imported by Israel from Chile) and in 2004 it reached almost $60 million ($46.7 and $13.0 million respectively). This upward swing continued in the first half of 2005. The main items were agricultural and electronic equipments and foodstuffs. In August 2016, newly appointed Chilean Ambassador to Israel Mrs. Monica Jimenez De La Jara met with Israeli President Reuven Rivlin in Jerusalem. Later in the month, Israel opened an official trade office in Chile, integrating further into the Pacific Alliance trade group. In December 2018, the Chilean National Comptroller determined that it is illegal for municipalities to boycott Israel, The decision followed complaints from Shai Agosin Weisz, president of the Chilean Jewish community, as well as the Chilean community in Israel about the Valdivia municipality’s decision to ban the city from signing contracts with any company linked to Israel. Chile boasts the largest Palestinian community outside of the Arab world, with approximately 450,000 Palestinians living in the country (compared to a Jewish community of 18,300). The Chilean Palestinian community is largely Christian, in contrast to Palestinians in the rest of the world who are mostly Sunni Muslims. The earliest Palestinian migrants to Chile arrived in the mid-1800s, with other large migrations coming during World War I and after World War II. By the 1950’s Palestinians in Chile had a well-established community and counted among their ranks leaders in business and politics. The modern Palestinian community in Chile is extremely influential in the business, political and cultural life of the country. The Palestinian Federation of Chile has repeatedly published racist cartoons that play on age-old Jewish stereotypes and anti-Semitic tropes. In a 2017 exhibition soccer match between Chilean teams Estadio Israelita Maccabi team and Club Palestino, Club Palestino players were ejected from the game for unsportsmanlike conduct, including making racist and anti-Semitic slurs and taunts directed at the other team. Palestinian Authority President Mahmoud Abbas visited Chile in May 2018, where he held meetings with Chilean President Sebastián Piñera. During Abbas’s visit, Piñera expressed support for a Palestinian state alongside Israel. A Sephardi museum is located in Santiago. A kosher restaurant opened in Santiago in 2004. Kosher food is also available from two butcher shops and one mini-market. The neighborhood Las Condes, also in Santiago, is home to major Jewish sports fans and the sports club Estadio Israelita. The community has its own synagogue, Talmud Torah and rabbi. On Yom Ha'atzmaut, the Chilean Air Force features a performance with paratroopers. At the intersection of Avenida Manquehue and Avenida Colon is a statue of the Ten Commandments. The inscriptions claims that it was copied from the Jerusalem Bible and presented at the first National Congress of Young Adventists in 1981. The main synagogue is the Circulo Israelita Synagogue in Santiago. It was built with beautiful stained glass windows that encircle the bimah. It serves the Ashkenazi community and has about 1,000 families as members. The Sephardic congregation was the first Jewish community in Chile. It was started in Temuco but moved to Santiago. There are around 1,000 families that are members of this synagogue. Within the Estadio Israelita is a Reform temple called Ohr Shalom. About 2,000 families are included in its membership. In addition to these synagogues, a number of Orthodox synagogues have sprung up recently within Santiago, although the vast majority of Chileans affiliate with Conservative and Reform synagogues. Lahav Harkov, “BDS Declared Illegal For All Cities In Chile,” Jerusalem Post, (December 6, 2018).